The Doors perform "Light My Fire" and "Crystal Ship" on American Bandstand. "Before you slip into unconsciousness ..."
It's got a good beat and you can dance to it ... not! 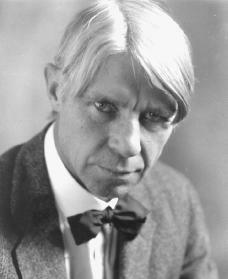 Author, poet, historian Carl Sandburg dies at the age of 89 in North Carolina. From Jeff March and Marti Smiley Child: Eight years after first hitting the chart, singer Bobby Vee struck gold. His 31st chart record, "Come Back When You Grow Up," made its debut on the Billboard Hot 100 chart on July 22, 1967. The song was written by Martha Sharp, whose composing credits include two tunes for Sandy Posey: "Born a Woman" and "Single Girl." Sharp eventually became vice president of artists and repertoire for Warners Bros., and signed country music superstars Randy Travis and Faith Hill to the label. William Hood arranged the music for Vee's "Come Back When You Grow Up" session, which Dallas Smith produced. The Liberty Records hit peaked at No. 3, remained on the chart for 16 weeks, and earned RIAA gold record certification. Jimi Hendrix begins a three-night stand at Café Au Go-Go in Greenwich Village, performing two shows per night. 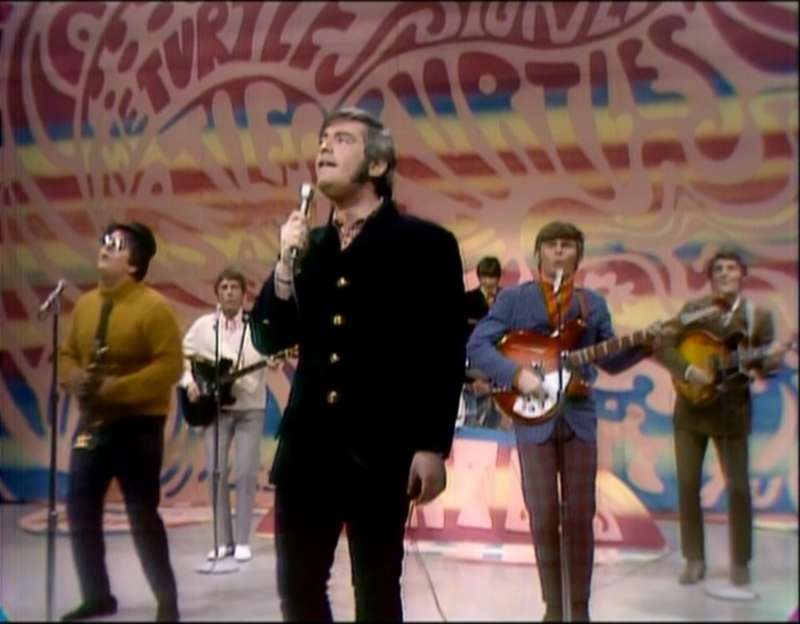 The Turtles perform on The Mike Douglas Show. 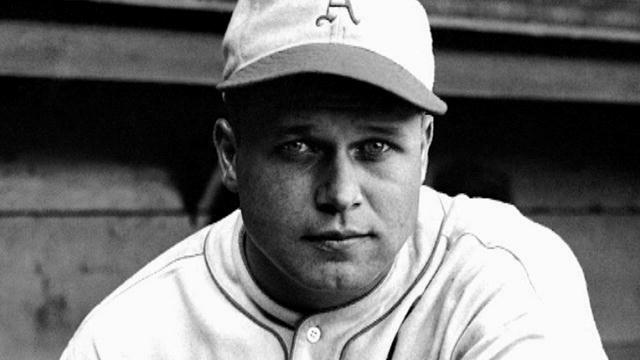 Baseball Hall Of Famer Jimmie Foxx chokes to death on a piece of meat … he was 59. (Ironically, his wife had died the year before, also choking on a piece of food.) Foxx was the second major league player to hit 500 career home runs (Babe Ruth was the first) and hit 30 or more per season for twelve straight years. 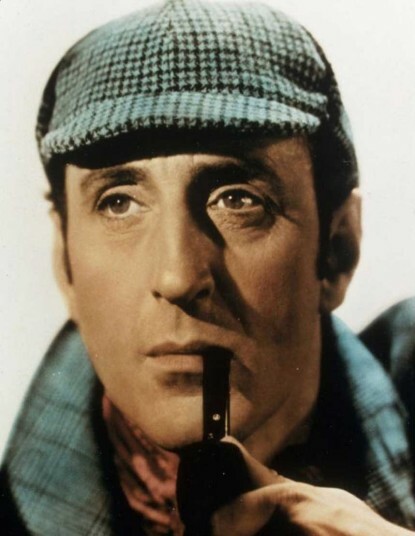 Actor Basil Rathbone (he did FOURTEEN movies playing the role of Sherlock Holmes!) dies at the age of 75 of a heart attack. Rathbone also appeared in "The Mark Of Zorro", "Son Of Frankenstein", "Captain Blood", "The Adventures of Robin Hood", "The Adventures of Marco Polo", "A Tale Of Two Cities" and many others. ANC president Albert Lutuli died after being hit by a train in South Africa in what many believed was an assassination operation. Lutuli received the 1960 Nobel prize for his role in the struggle against whites-only rule, becoming the first African to win a Nobel Prize. Here in Chicago, Simon and Garfunkel begin a two-night stand at The Civic Opera House. 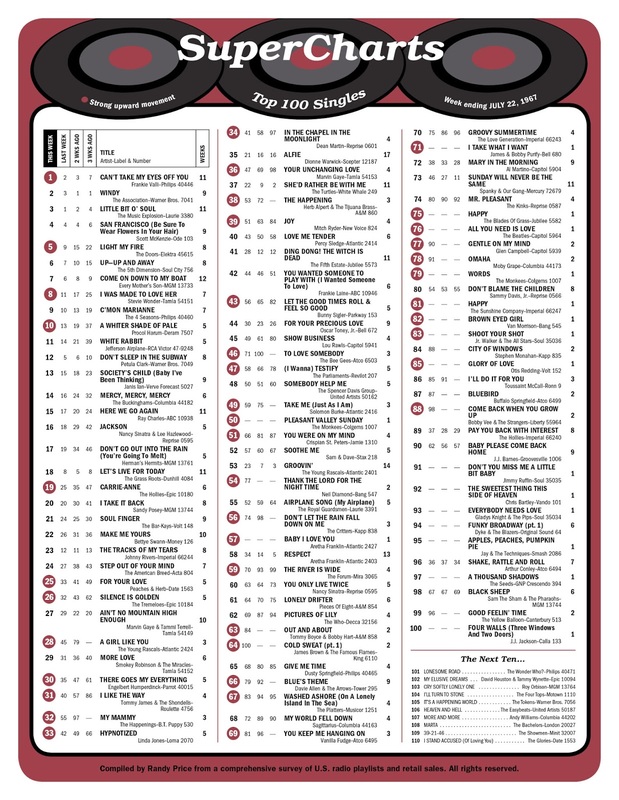 Bulleted tracks climbing The Top 100 Singles Chart this week include "Let The Good Times Roll" and "Feel So Good" by Bunny Sigler (#56 to #43), "To Love Somebody" by The Bee Gees (#71 to #46), "I Wanna Testify" by The Parliaments (#58 to #47), "Take Me Just As I Am" by Solomon Burke (#59 to #49), "You Were On My Mind" by Crispian St. Peters (#66 to #51), "Thank The Lord For The Night TIme" by Neil Diamond (#77 to #54), "The River Is Wide" by The Forum (#70 to #59), Out And About" by Tommy Boyce and Bobby Hart (#84 to #63), "Cold Sweat" by James Brown (which jumps 36 places from #100 to #64! 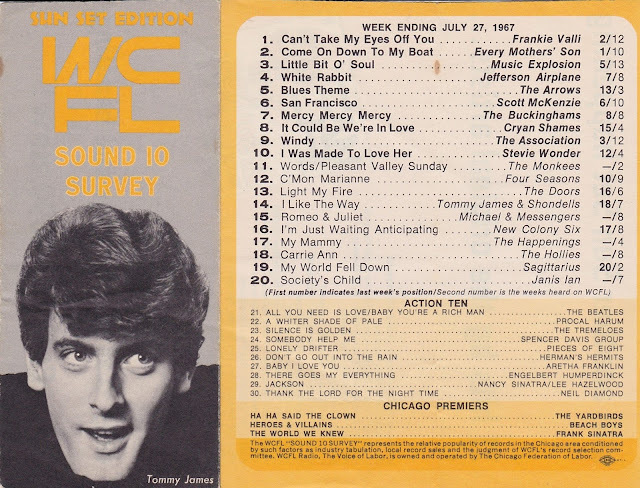 ), "Blues' Theme" by Davie Allan and the Arrows (#79 to #66), "Washed Ashore" by The Platters (#83 to #67), "You Keep Me Hangin' On" by Vanilla Fudge (#81 to #69), "Gentle On My Mind" by Glen Campbell (#90 to #77), "Omaha" by Moby Grape (#91 to #78) and "Come Back When You Grow Up" by Bobby Vee (#88 from #98). Race riots break out in Memphis, Tennessee. The Monkees perform their first post-Jimi Hendrix show at Memorial Auditorium in Buffalo, NY. The Monkees' single (released in the UK) "Alternate Title" peaks at #2 on the British Chart. (It's actually "Randy Scouse Git" from The Monkees' new "Headquarters" album.) No singles from this LP were released here in the States … but this was quite a popular track in England. (The title was changed so as not to offend their audience … it actually charted AS "Alternate Title", "Randy Scouse Git" loosely translated to mean "Horny Liverpudlian Lad".) Dolenz heard the phrase uttered on the hit British television series "Till Death Do Us Part". The Monkees debut on this week's chart here in America, too, with their latest, "Pleasant Valley Sunday" which ranks as the week's highest debut at #50. The flipside (which, as I recall, was the intended A-Side), "Words" premiers at #79. Aretha Franklin is back with her latest … "Baby I Love You" debuts at #57, one place ahead of her current hit working its way DOWN the chart, "Respect". The Beatles have a new one on the chart this week as well as "All You Need Is Love" premiers at #76 … and a '60's Classic, "Brown-Eyed Girl" by Van Morrison makes its chart debut at #82. Race riots erupt in Durham, NC. In New York City Tony Bennett records "For Once In My Life". In October, it will peak at #91.